Hey my lovely fashionistas! I have shown you many fashionable combinations that you can copy this spring. But, wait, I haven’t told you how to organize all that clothes and shoes. 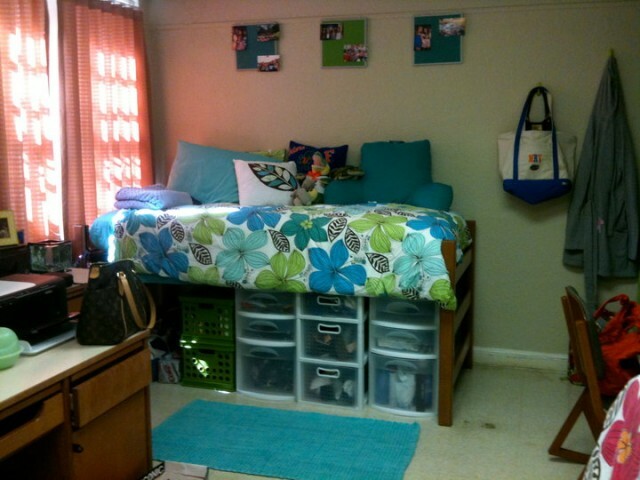 If your bedroom is small, you are probably facing storage issues. Don’t worry, because you are on the right destination. For today, I have 8 smart lifehacks for your tiny closet. Are you excited? You may have million dresses, shorts, skirts and tops, but the truth is that when they are not well organized in your closet, you can’t find them for hours. So, why spending your time on searching for the pink top or black flats, when you can put everything in order in just a few minutes with a couple of tricks. Let’s take a look at these 8 smart lifehacks that I have selected for you and draw some inspiration to organize your closet. Enjoy and have fun! You may have two pairs of winter boots, but I bet that you have ten or even more pairs of flats, heels or sandals for spring and summer. How to organize your shoes? Hmm, you can put the shoes that you won’t wear this season in plastic boxes and for the flats and sandals you can use hanging shoe rack. 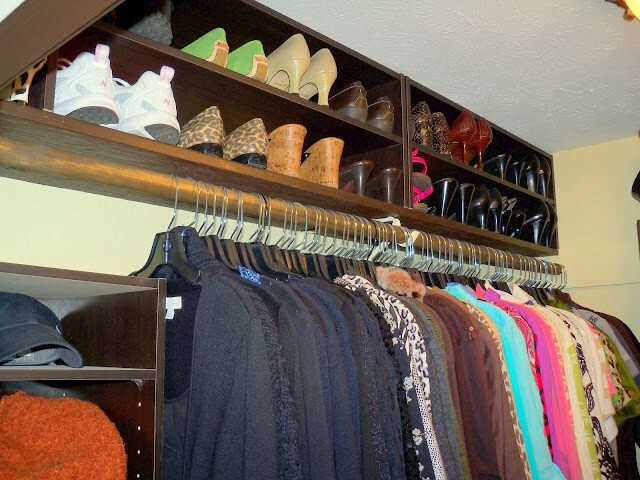 If none of these two solutions don’t suit your needs, then you can put a rack on the top of your closet and organize your shoes. If you are space-limited, you probably don’t have much space where to put your clothes. 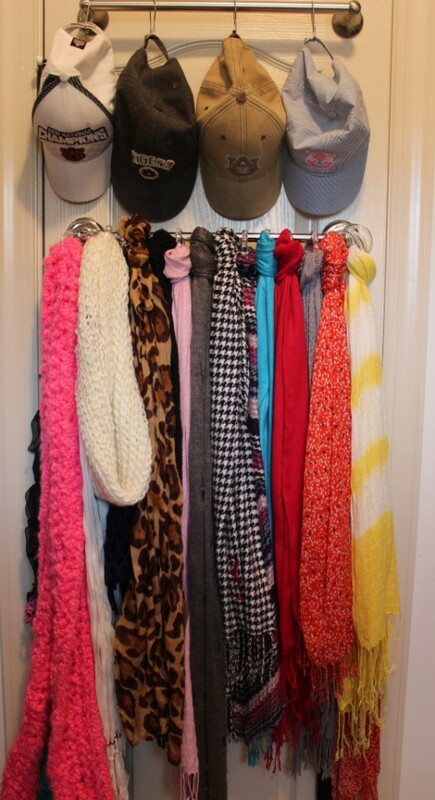 So, why not the use the doors of your closet to hang your bags, scarves and other items? The idea is perfect, isn’t it? You can use the same idea for the door of your bedroom. You just need to install racks and organize your hats, scarves or whatever. If you don’t have space for a closet, don’t worry because there are plenty of other options that can keep your clothes organized. The idea below is very smart and useful, don’t you think? If you don’t know how to organize your bras, then take a look at the idea below. It is awesome! You can personalize your tiny drawer too, by painting it with chalkboard paint. 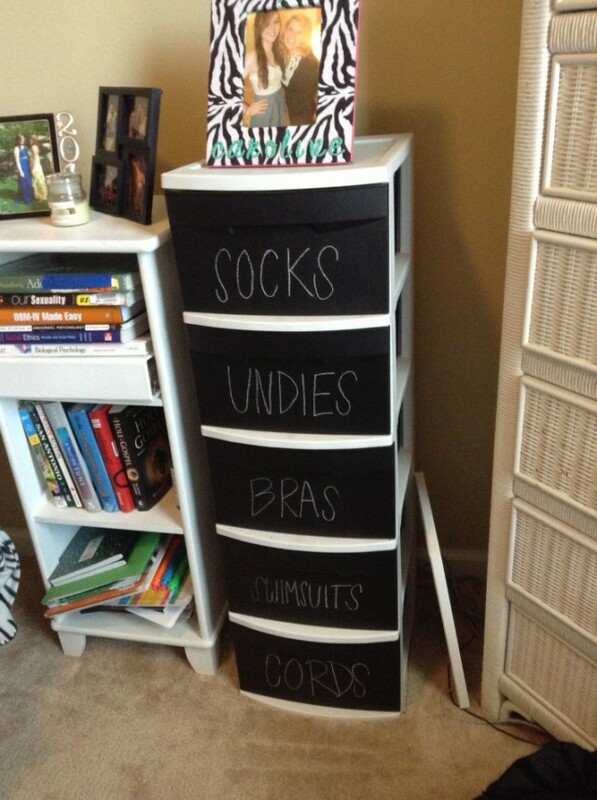 The idea is perfect and will make your stuff more organized. 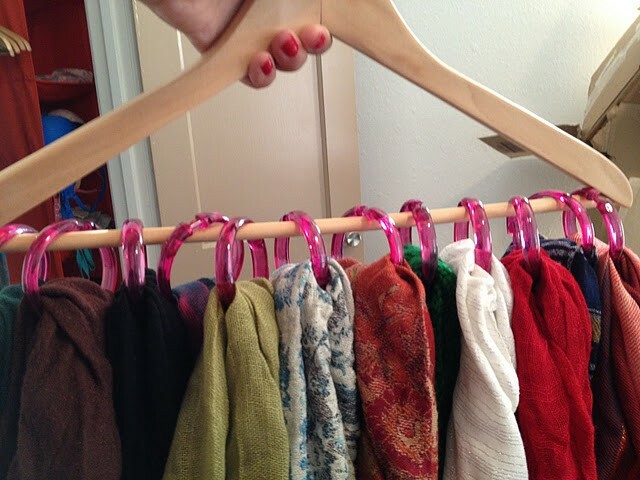 You can hang your scarves, tank tops or any other item easily and quickly in your wardrobe. So, what do you think about these lifehacks for organizing your tiny closet? Do you find them interesting and fun? Do you like them? I would love to know your opinion, so feel free to share your comment below. Thank you for reading! Enjoy in the rest of your day and don’t forget to stay up to date with the content of Fashion Diva Design!